Hashed Labs is an acceleration program for projects creating blockchain based decentralized applications. We promote the growth of companies who generate real use cases of decentralized technology. In its inaugural round, Hashed Labs will find early-stage teams developing blockchain-based games and applications, and offer multi-layered support in any challenge entrepreneurial teams may face. Hashed is a blockchain accelerator and investment fund, based in Seoul and San Francisco, that aims to support and empower the most innovative decentralization projects around the world. We have great faith in the value of decentralization and the power of blockchain technology to bring about unprecedented changes in the history of the human race. We enable promising decentralization projects to grow in the most efficient and speedy way through investment, community building, and acceleration. Hashed Labs was borne out of our wish to better support the growth of the DApp ecosystem and to further promote the value of blockchain technology. Many factors contribute to the creation of a valuable DApp service—service design, team building, DApp development, deployment, marketing, community management, and legal counsel. Hashed Labs is our answer to this multifaceted need, assisting early, promising teams that have long journeys ahead of them. Games have always stood at the forefront of any new breakthrough in technology, whether it be the advent of the Internet or the dissemination of mobile devices, always the first to become a popularized service. Our belief is that blockchain won’t be any different. We predict that games that take advantage of the characteristics of blockchain will gain initial popularity, with more diversified blockchain-based services following. Hashed Labs presents various opportunities that will help this process along. We believe that this program will be especially beneficial to a team that has focused on traditional web-based games, but is looking to find new ways to incorporate blockchain into their future creations. For our individual and group mentoring program, Hashed Labs brings an extensive network of blockchain and cryptocurrency companies and experts, traditional tech and financial companies and startup. This program aims to offer internationally renowned experts as an advisory board to the new challenges an early entrepreneurial team might face. All participating teams will receive a seed investment for team building and early operations, and a support network as a Hashed portfolio member that continues after the program has ended. Developers struggle with questions like these. By providing a rent-free office space to our entrepreneurial teams, Hashed allows founders to socialize and communicate freely, coming up with better answers faster. 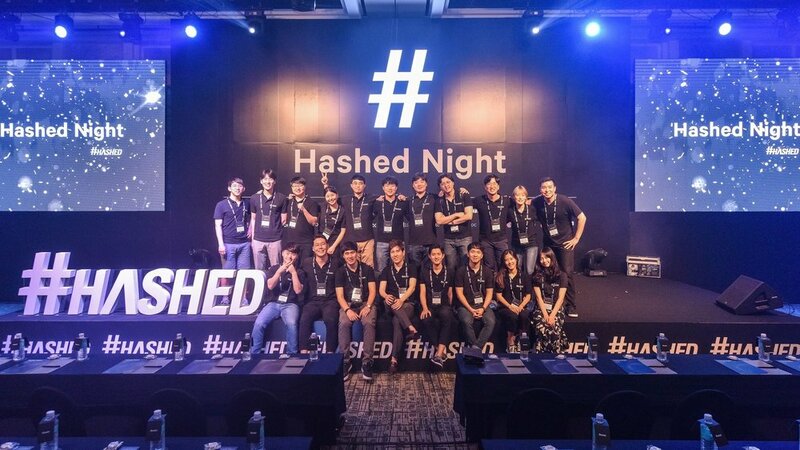 Hashed is a company founded by serial entrepreneurs who share a passion for blockchain technology and its industrial applications. As entrepreneurial veterans with ample experience in establishing corporations, managing a company, hiring talent, and attracting investment, the Hashed team has a great deal to offer the acceleration projects. Participating teams will have the chance to attend educational seminars hosted by foreign and domestic entrepreneurs and developers, blockchain platform specialists, game designers, token economy experts, and web publishers. Sessions will be tailored to the needs, backgrounds, and future operations plans of each team. * We will provide separate programs according to the needs of each team.